In a flash, the US has scrapped the 1987 Intermediate-Range Nuclear Forces (INF) Treaty, which safeguarded Europe and the world from a deadly US-Russia arms race. This is particularly bad news for Europeans. Russia must be feeling a lot like the Native Indians these days with regards to treaties signed with the duplicitous Americans. For the second time in as many decades, the US has gone back on its word, removing another pillar from the global arms reduction architecture. The Trump administration, in its infinite wisdom, announced on the weekend it would freeze US participation in the INF “for 180 days,” which, from a military perspective, must be interpreted to mean forever. In the spirit of reciprocity, Vladimir Putin, expressing regret that Russia “could not save” the Cold War treaty, said he would be forced to follow suit. The Russian leader emphasized, however, that Moscow would not deploy intermediate or smaller range weapons “until the same type of American weapons” were placed in Europe or elsewhere in the world. This latest ratcheting up of tensions between Moscow and Washington was wholly avoidable – that is, if avoiding confrontation is a goal of the US. Clearly, it is not. The unpredictable hotheads now dictating foreign policy in the Trump administration, particularly National Security Advisor John Bolton, a veteran hawk who the Washington Post recently calleda “serial arms control killer,” have somehow concluded that playing a game of nuclear chicken on the European continent with Russia is the best way to resolve bilateral issues. The White House appears to be incensed over Russia’s upgrade of a cruise missile, the ‘9M729’, which it claims exceeds the 500-km flight threshold set down by the treaty. The INF treaty specifically banned the development, deployment, and testing of ground-based missiles with a range between 500km and 5,500km (310-3,400 miles). In fact, the development of this weapon has so irked the Trump administration that last year the US Ambassador to NATO, Kay Bailey Hutchison, warned Russia that if it did not halt its development NATO would be forced to “take out” the missile. Although Hutchison later backtracked on the hyperbole, saying she did not mean to suggest a preemptive strike on Russia, the remark nevertheless underscored the gravity of the situation. The obvious question is: does the US have legitimate grounds to be concerned over this cruise missile, one of the latest in a series of new weapon systems to be rolled out by the Russian military? Well, if they did have real cause for concern, they deliberately missed several opportunities to examine the weapon firsthand. In fact, Moscow invited US Secretary of State Mike Pompeo to attend a public presentation where Russian military brass were on hand to field queries about the missile. Yet the Americans snubbed the event, which could have persuaded them to think twice before dumping a landmark arms control treaty. On this point, it would have been refreshing to hear some impartial European voices weighing in on the matter. After all, in the event of another arms race between the US and Russia, the European continent will once again be forced to wear a large crosshairs on its back. Instead, EU leaders predictably approached the issue from the American stance, parroting the narrative that Russia, the perennial bogeyman, is in violation of the INF. Immediately assuming Russia’s guilt seems to be a non-starter for any sort of productive negotiations. In order to get a clearer picture of what exactly is motivating Washington’s reckless behavior, it is essential to remember that the Trump administration’s withdrawal from the INF is just the latest in a long string of aggressive moves against Russia. Indeed, this is not the first time Washington has torn up an arms agreement with Moscow. 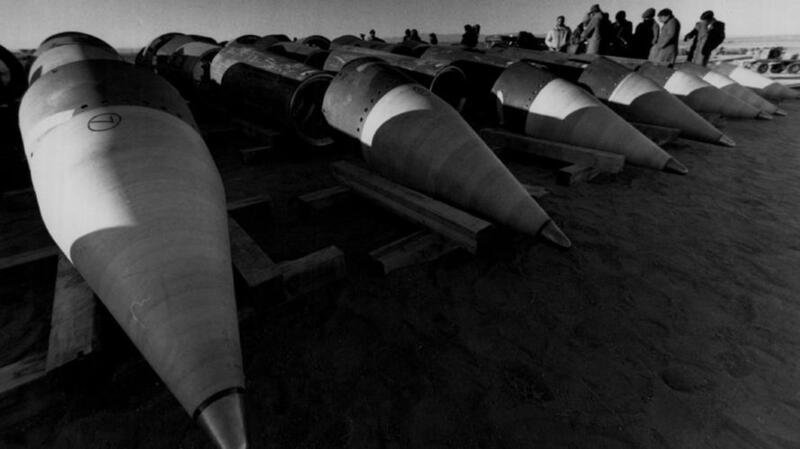 In 2002, the Bush administration terminated the 1972 Anti-Ballistic Missile Treaty (ABM Treaty), which maintained something of a suicide pact between the Cold War nuclear rivals known as ‘mutually assured destruction’. From there it has been all downhill for bilateral relations. With the ABM Treaty swept away, the Bush and subsequent Obama administration proceeded to unilaterally build – despite repeated offers from Moscow to cooperate on the system – a US missile defense shield in Eastern Europe, just a stone’s throw from the Russian border. In May 2016, NATO announced its missile defense base in Romania was fully operational. Following the announcement, Mikhail Ulyanov, head of the Russian Foreign Ministry’s department for arms control issues, warned that not only did the US missile defense system threaten the strategic balance between nuclear powers, the launchers in Romania could easily be re-fitted with offensive cruise missiles, thereby turning a shield into a sword at a moment’s notice. In other words, Washington is now accusing Moscow of violating an arms control treaty that it itself had most likely violated almost three years ago. Pierre-Emmanuel Thomann, a geopolitics analyst from Paris 8 University, told RT this is the desired outcome Washington was looking for, which already decided “beforehand to get out of the treaty” irrespective of possible concessions from Moscow. “The US already destabilized the nuclear balance when they decided to get out of the ABM treaty in 2002, and when you look at a map the United States [is] putting missile defense bases all around Eurasia, creating a feeling of encirclement in Russia and China,” Thomann said. This leads us to another possible reason why the Trump administration made the rash decision to kill the INF treaty, and that is due to the huge strides made by the Chinese military of late. Last year, as just one example, a Chinese firm reportedly completed the successful launch of a supersonic missile, which the Chinese government said could compete on international markets. China, which is not bound by the conditions set down by the INF, has undergone breakneck militarization ever since. Yes, the United States became an existential threat to Beijing when the Obama administration announced the so-called ‘pivot to Asia’. This disastrous doctrine saw a large chunk of US naval forces enter the Pacific theater. Thus, Washington may be trying to bring the Chinese and Russians into some sort of new three-way arms control treaty, but if that were true, it seems to be going about it in the worst possible way. Whatever the ultimate cause may be, the United States and its quest for global supremacy, in cooperation with the European Union, which behaves like a powerless vassal state inside of the ‘American empire’, must assume a heavy part of the blame for the increasingly perilous state of global relations today. Konstantin Kosachev, head of the foreign affairs committee in the upper house of Russia’s parliament, adequately summed up the fate of the world following the latest US withdrawal from yet another arms reduction pact. “I ‘congratulate’ the whole world,” Kosachev told the Russian Senate.